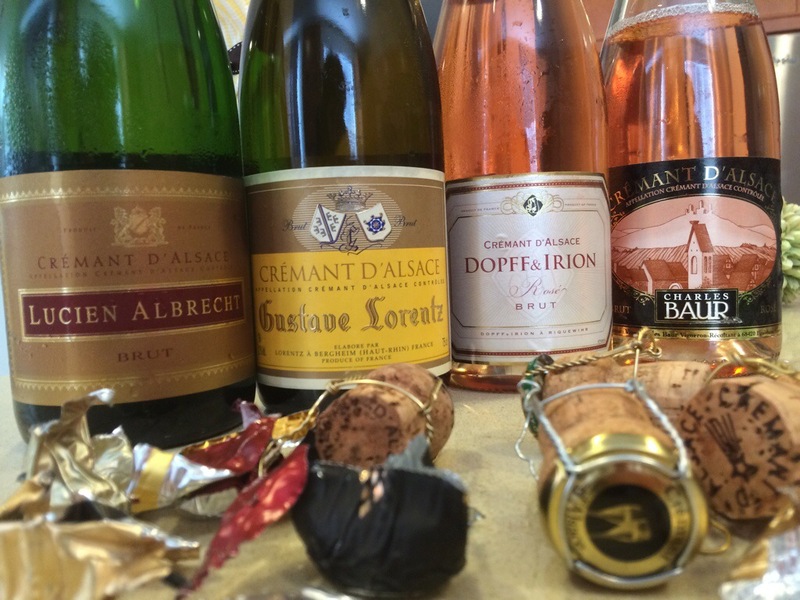 In this episode, Jeff tastes through four Cremant d’Alsace for the #AlsaceRocks Twitter Tasting. 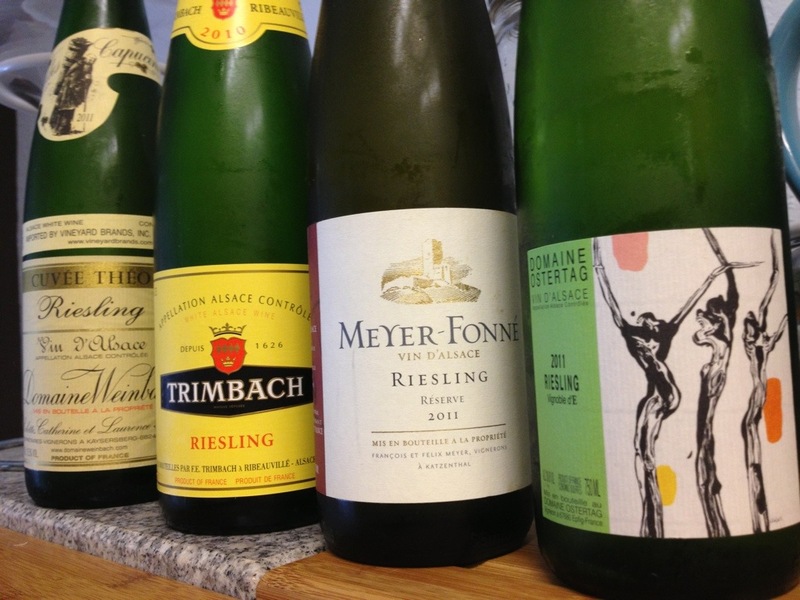 Which of these four Cremant d’Alsace are up your ally. Leave a comment, and let us know. 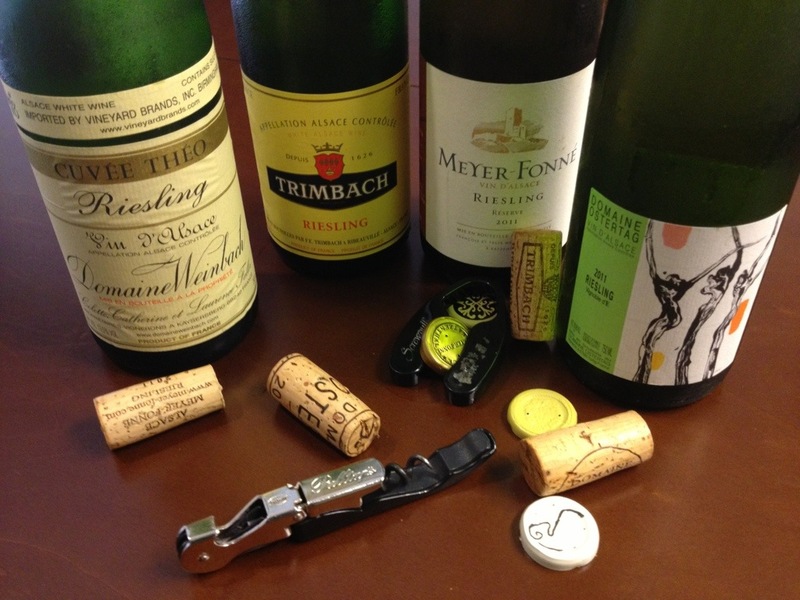 What’s your favorite White Burgundy or South African wine? Leave a comment, and let us know. 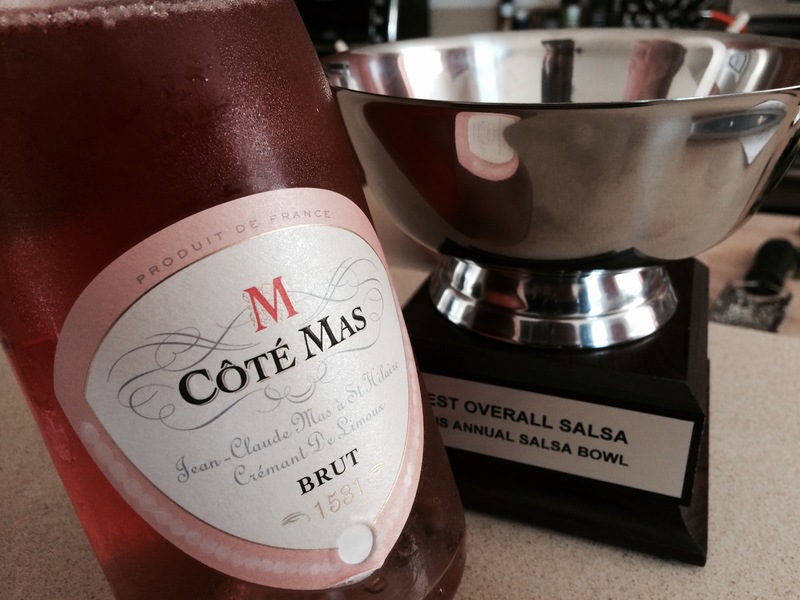 Stay Rad Wine Blog TV Episode 108: Here’s why #AlsaceRocks! 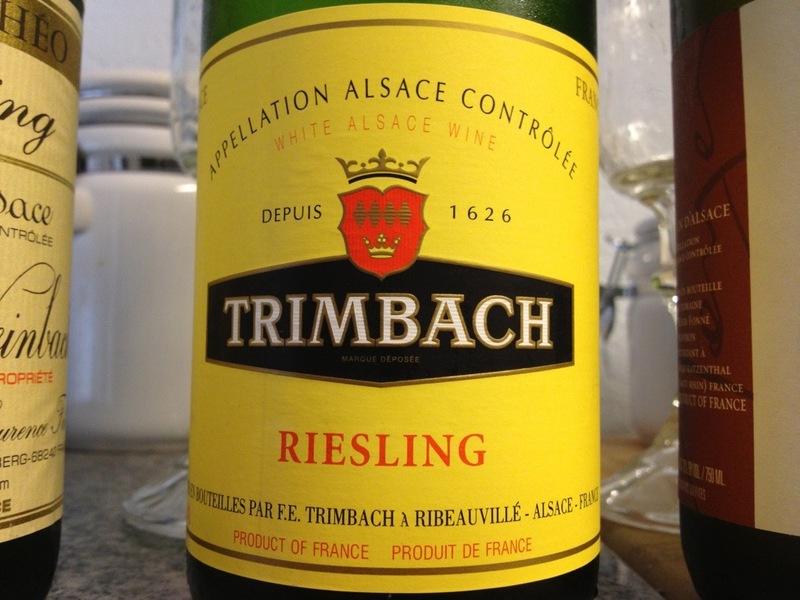 See Jeff’s first tasting of Trimbach Riesling here. 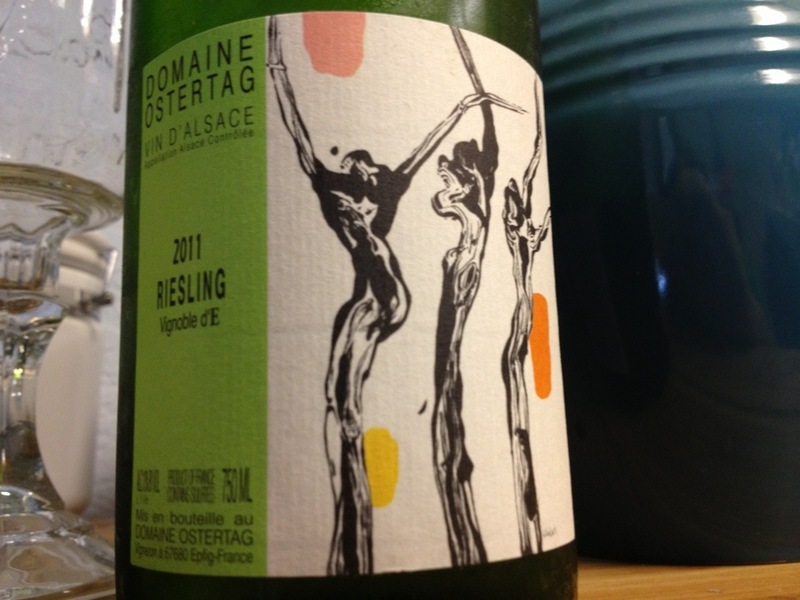 Don’t forget to join the Wines of Alsace Twitter Taste and Chat between 4 and 5pm Pacific, 6/27/13. 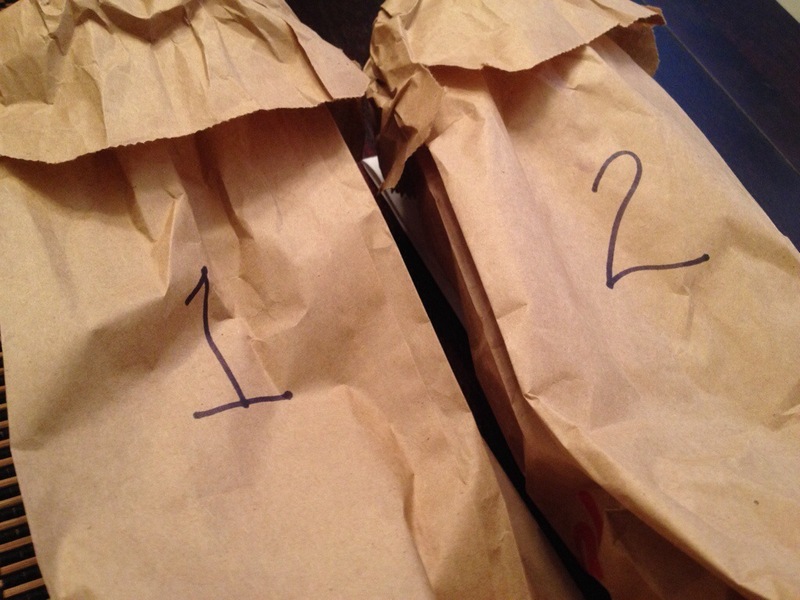 Use the hashtag #AlsaceRocks, and throw a Q in front of your questions, to find out all you want to know about these dry Rieslings from France. Where do YOU find value? 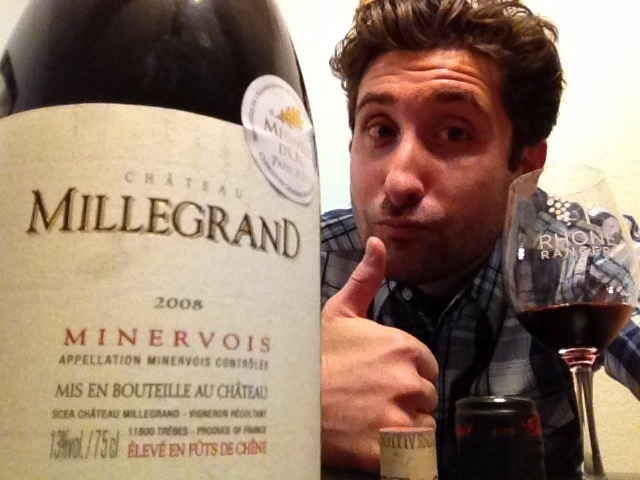 The Languedoc has done it again. 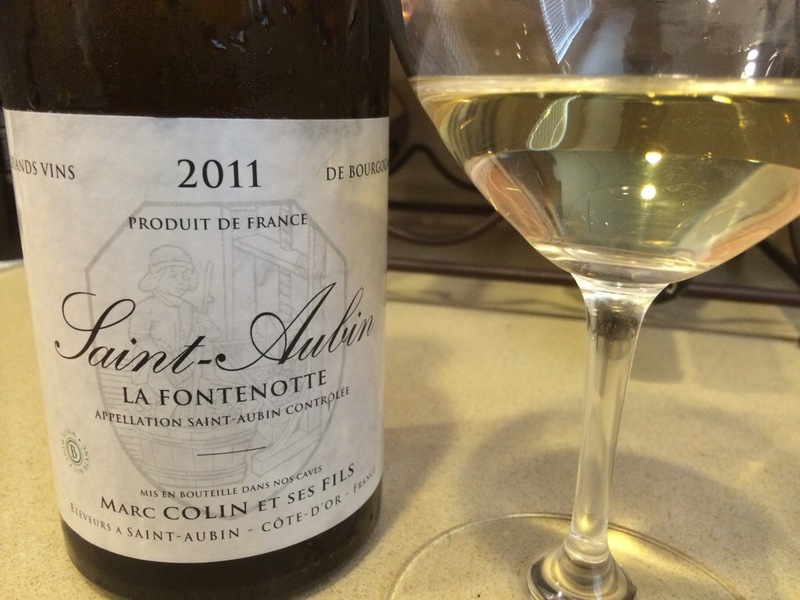 I’ve long been a fan of this Southern region of France for its fresh, food-friendly, and inexpensive wines. 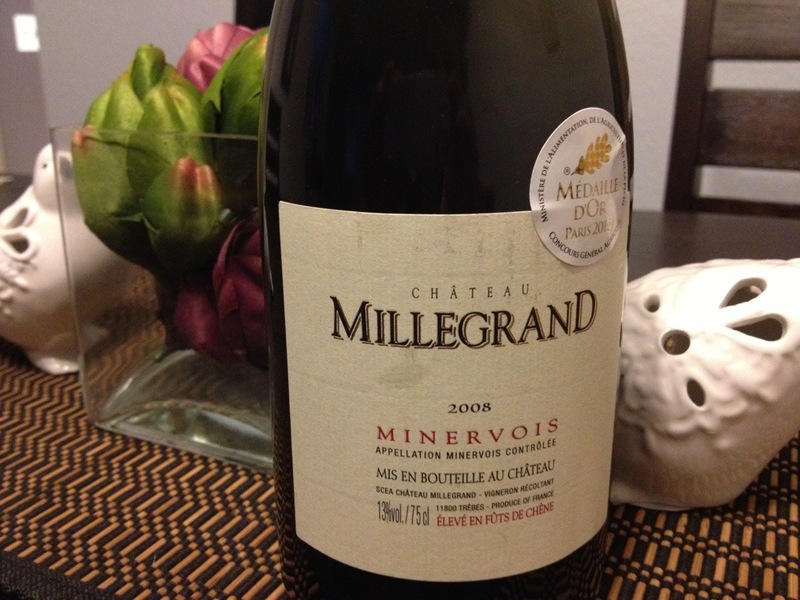 Millegrand is an estate found in the Minervois appellation of the Languedoc. 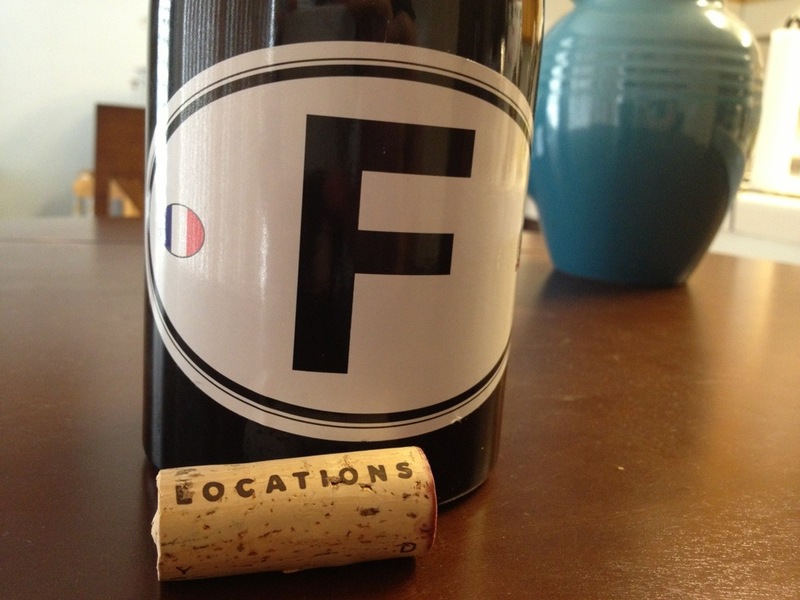 This red wine is a blend of 35% Syrah, 30% Grenache, 25% Carignan, and 10% Mourvedre. It was aged for 12 months in French Oak barrels. Color: Dark ruby red with a few rusty notes near the edges. Nose: Nice and chalky (You know I love chalk!). 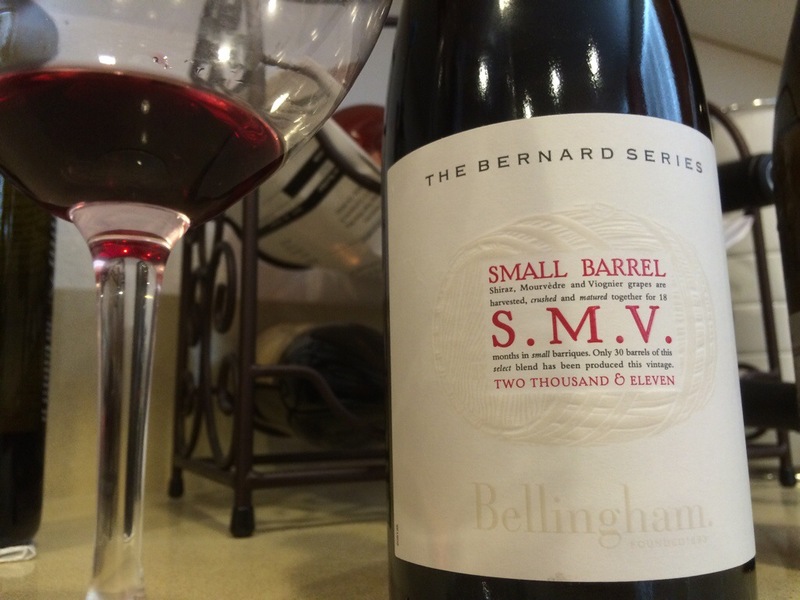 There are some nice sweet tobacco notes, and just a touch of ripe plum and blackberry fruit. 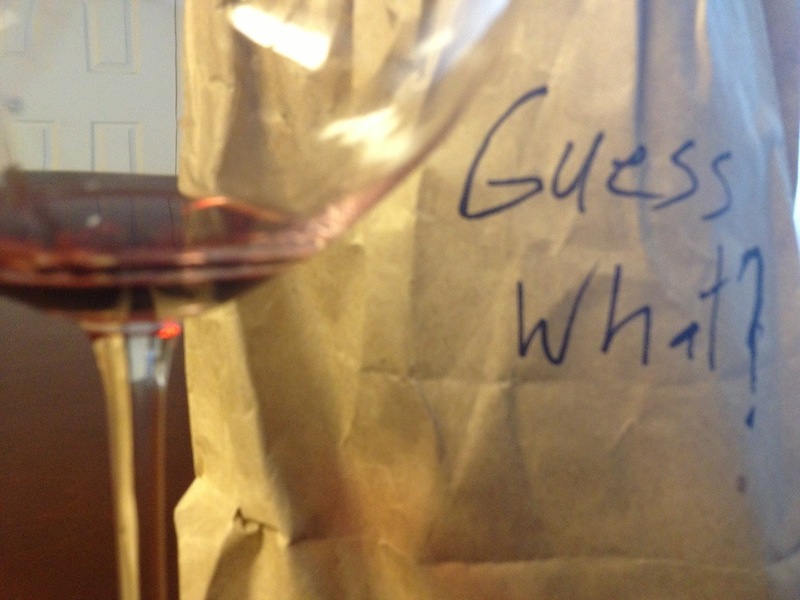 Taste: This is an earthy wine. Forest floor, mushroom, and tobacco for days. 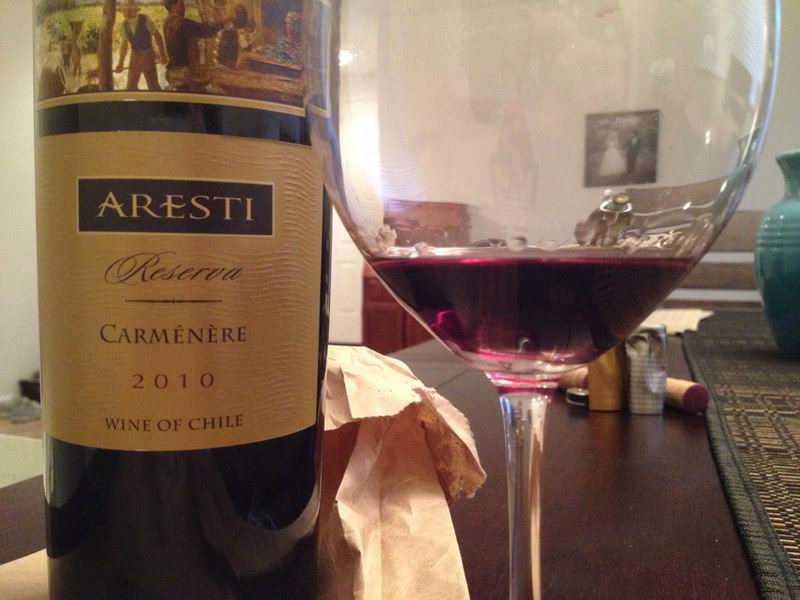 There are, of course, these lovely red fruits… but this wine is mad earthy. 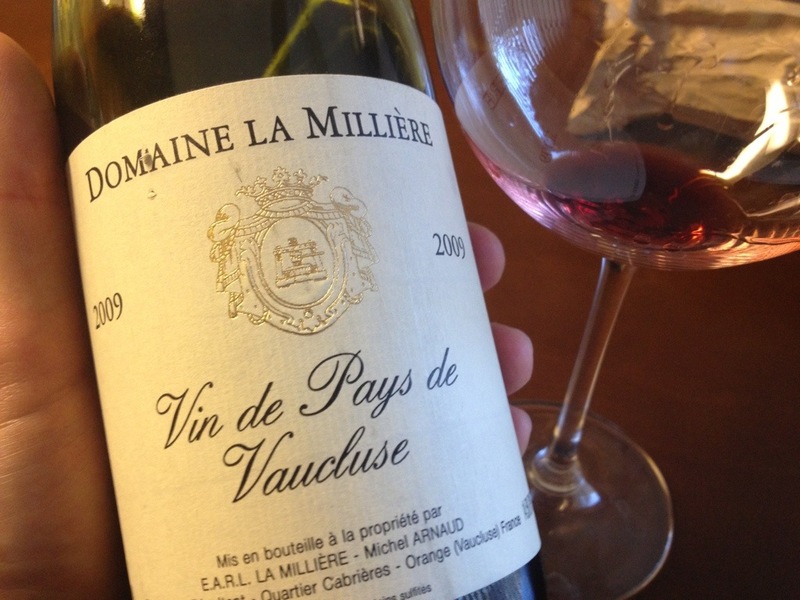 You know I love the Languedoc, but where do you find value? My new diet: When I seafood, I drink wine. Yesterday, Kara and I had a hankerin’ for some fish. 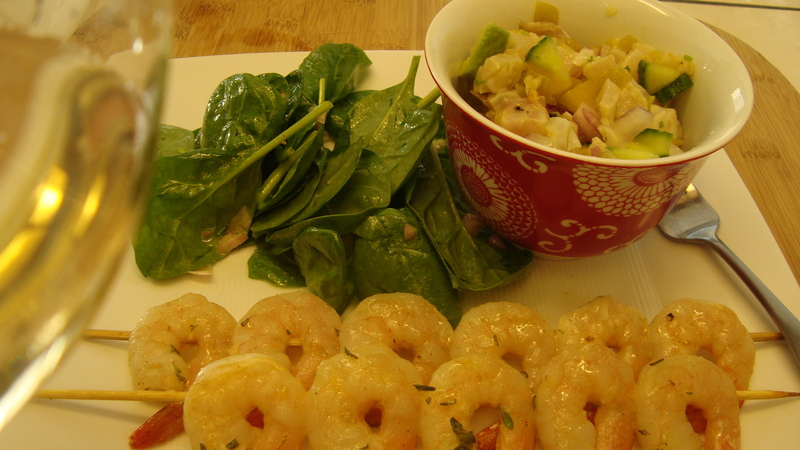 I thought it would be really neat to prepare it two ways, so I decided to make a Tilapia Ceviche and some Barbecued Shrimp. Before heading out to get some groceries, I opened up Kevin Zraly’s wine book to get an idea for what types of wine go well with seafood. 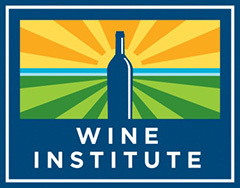 After flipping through his chapter on the white wines of France, I left for the store with the intention of getting either a Loire Valley white (like Sancerre or Muscadet) or a white Burgundy (Chablis perhaps). The Muscadet region is on the Eastern end of the Loire Valley of France where the Loire River meets the Atlantic Ocean. 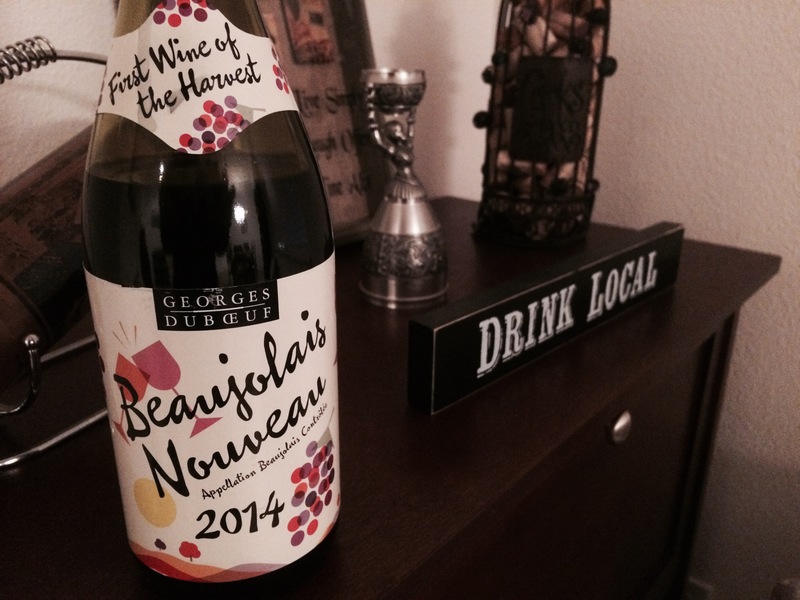 These wines are made from 100% Melon de Bourgogne grapes. They should always be dry and light in style. 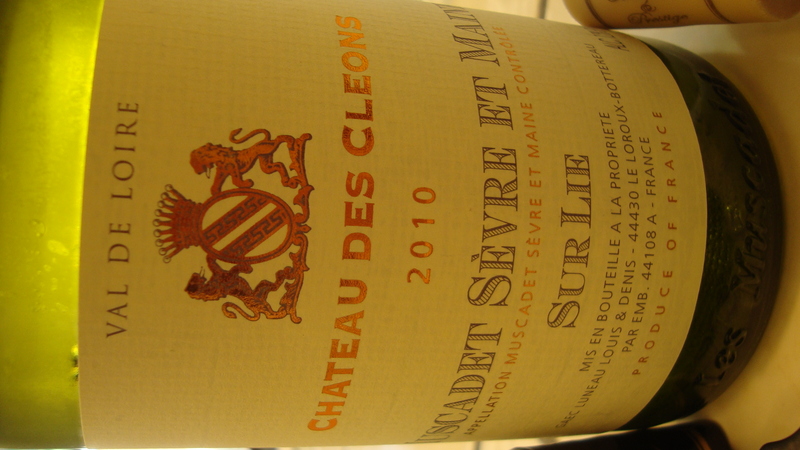 See how it says “Sur Lie” on the label? That means that it was fermented on its skins (not really… see the comments below), so it should have a bit more body than a Muscadet that does not read as such. The book says that Muscadet is good with shellfish and fishfish, so I was more than happy to pick this bad boy up for only $6.99. I’ll get back to the wine in a bit. 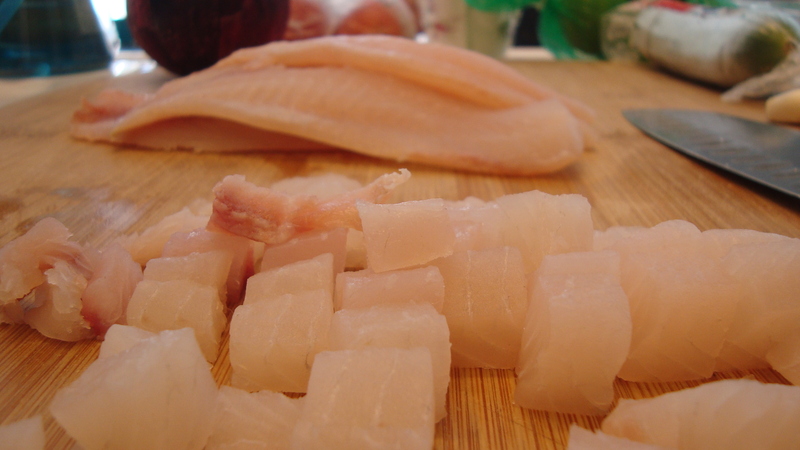 Cube up about a pound of fresh Tilapia and throw it in a non-reactive bowl. 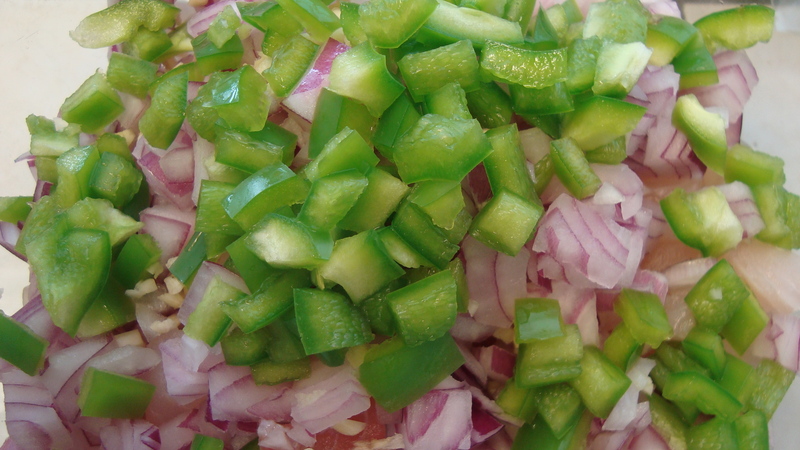 The key to Ceviche is to layer the flavors. Take a sip of wine for each new layer. 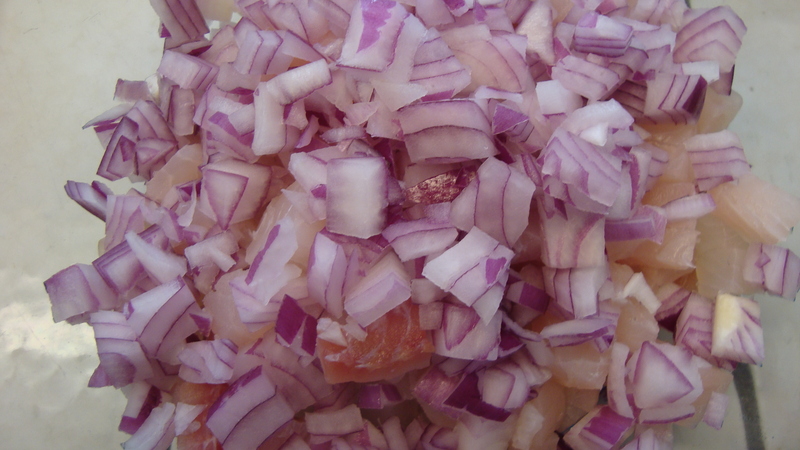 Dice up half a large red onion and throw it on top of the fish. 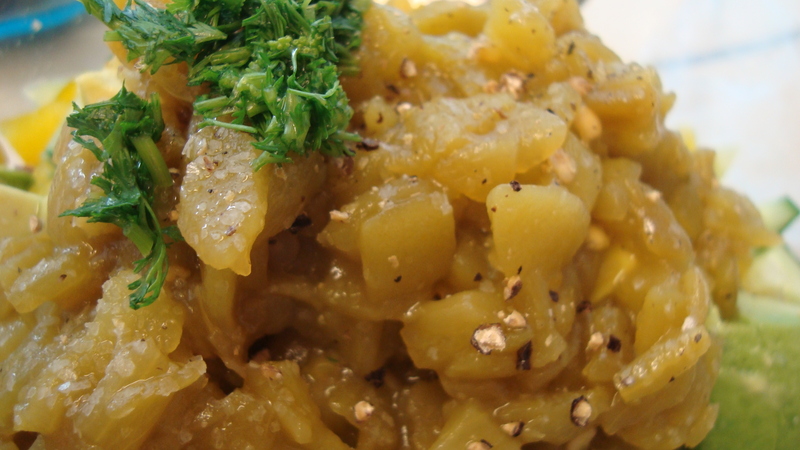 Mince up one clove of garlic and throw it on the onion. 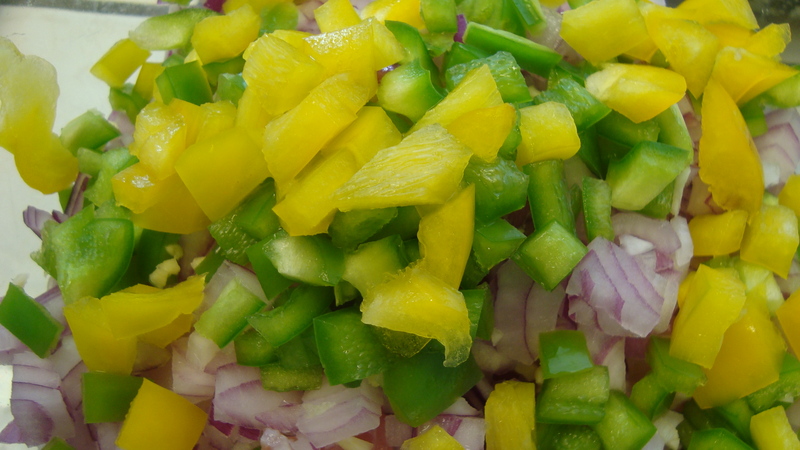 I added a small green bell pepper from my garden. 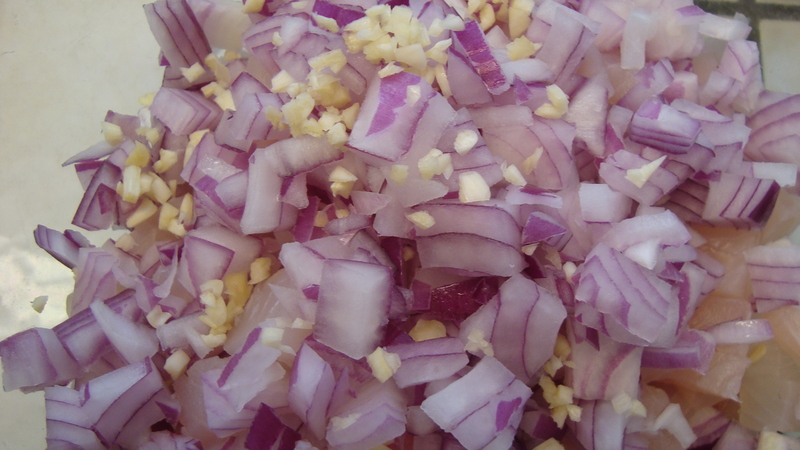 Diced, of course. Next I put in one quarter of a jumbo yellow bell pepper that Kara picked up from the farmers' market. 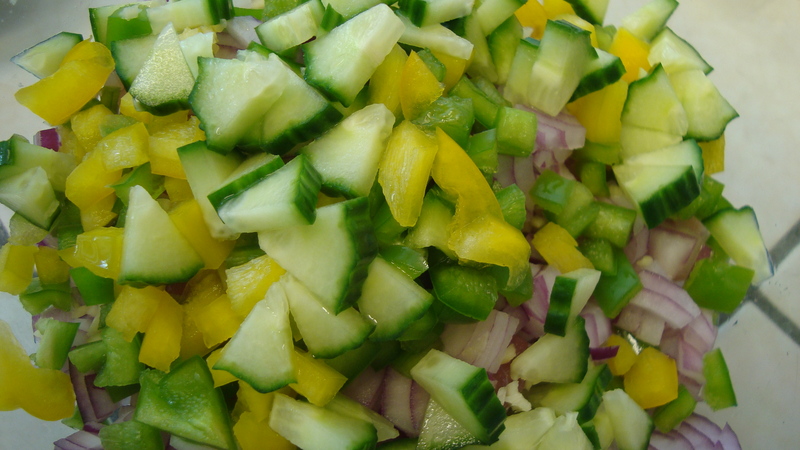 Here, I piled in a third of a large cucumber which was cut into little pizza wedges. So whimsical! 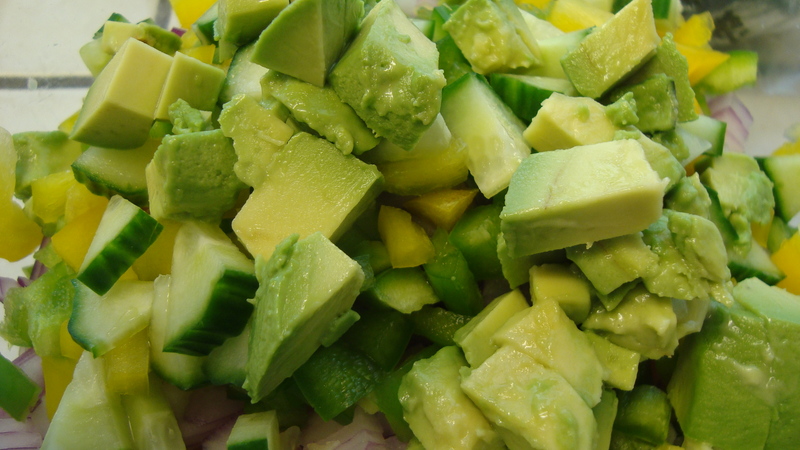 Add one small diced avocado. California love! 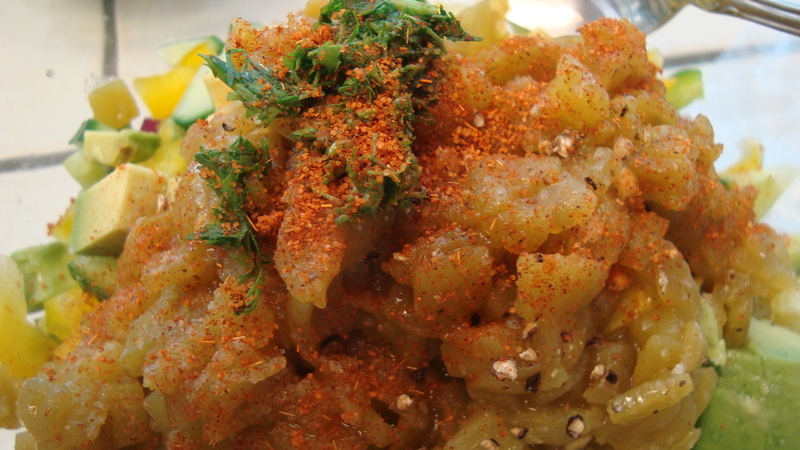 Open up a small can of diced chillies and dump it on top. Chop up some cilantro. Add it in with some salt n' peppa. Stop to bust a move while humming the music to "Push it!". The secret ingredient is carne asada seasoning. Shhhhhhhhh!!!!! Don't tell anybody. 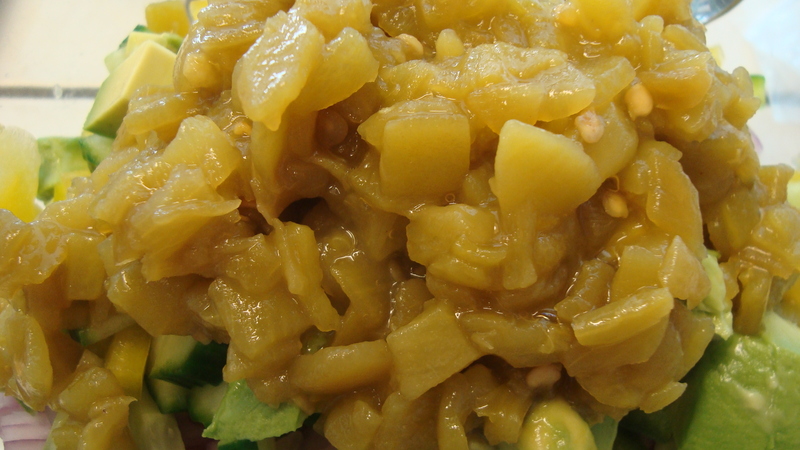 Zest one lime over the top. 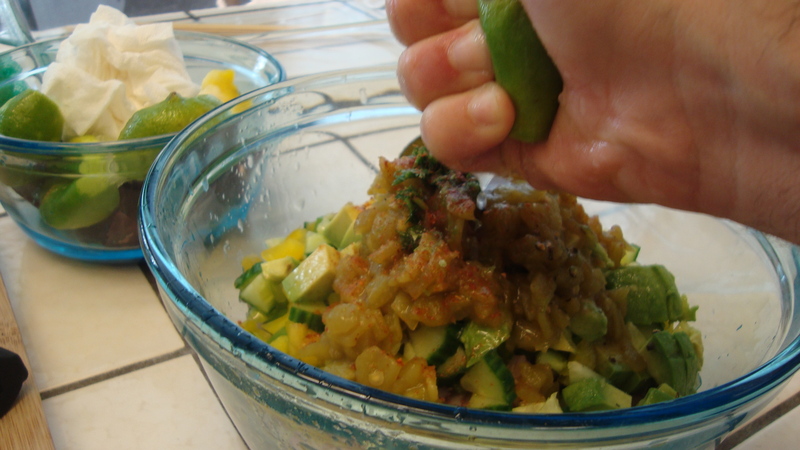 Squeeze in the juice of three limes. The acid from the lime juice will "cook" the fish. Stir, but do not mush it. Cover with plastic wrap and throw it in the fridge for a few hours. These are large peeled shrimp from the seafood counter at Safeway. I marinated the pound of shrimp in a shallow glass dish with olive oil, salt n' peppa, fresh rosemary and thyme from the garden, and the juice of one lime for about 20 minutes. 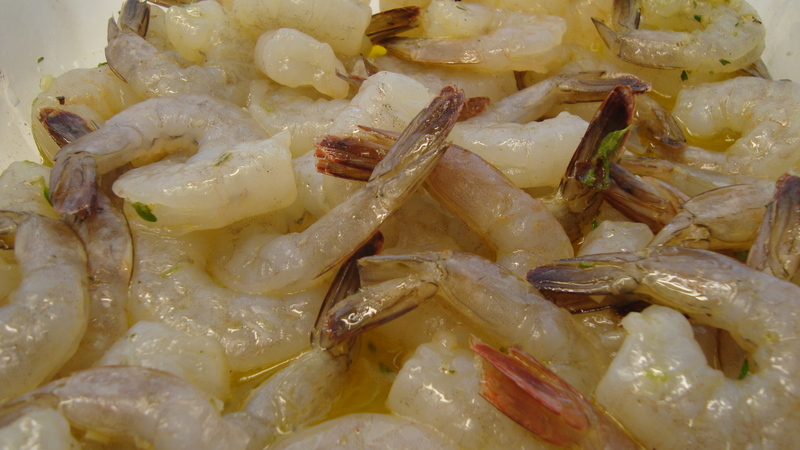 While the shrimp is marinating in the fridge, preheat the grill with the burners on high. After ten minutes, set to medium indirect heat. 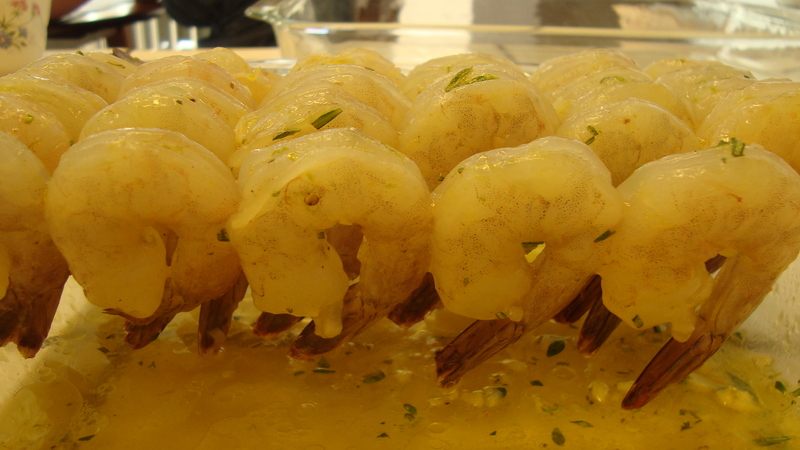 Arrange the shrimp on pre-soaked bamboo skewers, making sure that all the shrimp are facing the same direction. Grill the shrimp for 3 minutes a side on indirect heat with the lid closed. Be sure to baste the shrimp in the marinade. Color: A nice straw yellow. I was pleasantly surprised by a tiny bit of frizzante action. Nose: Lemon/lime spritzer with a touch of grass and minerality. Nice. 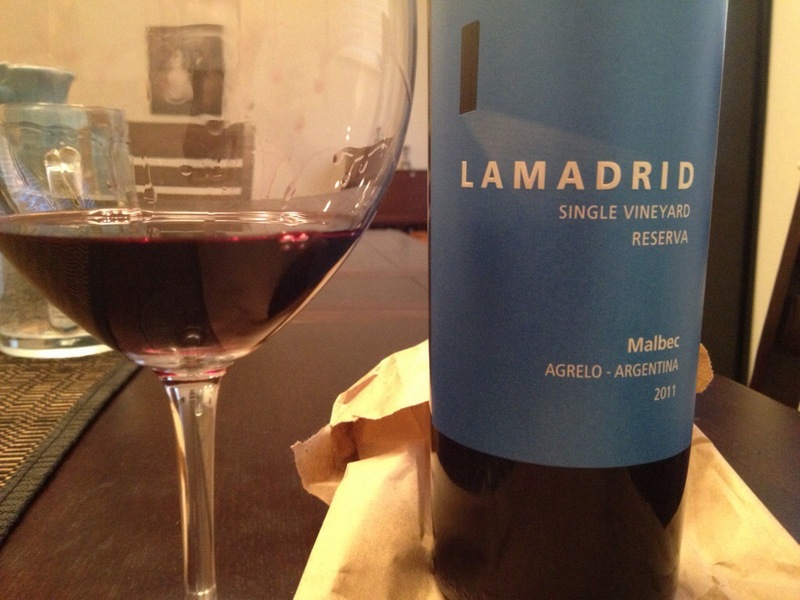 Taste: I see now why this wine is recommended for lighter fare. 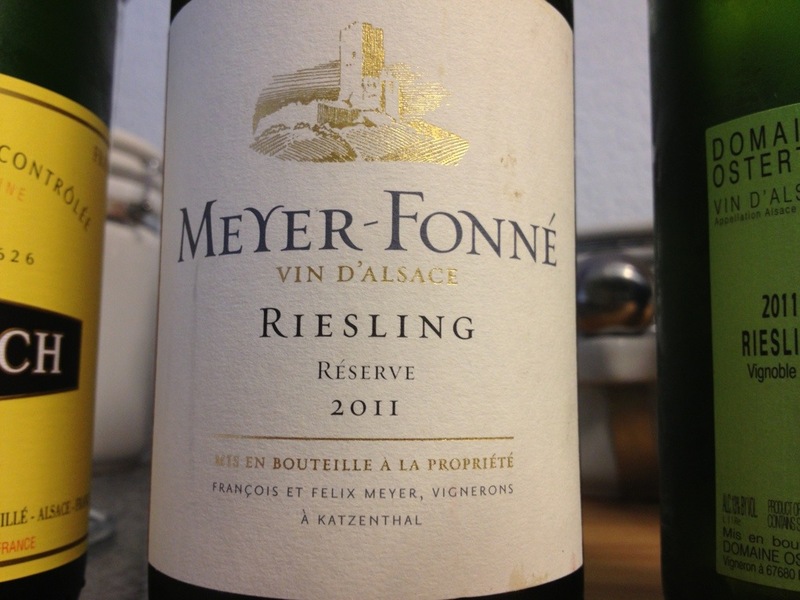 It is dominated by its acidity, which pairs well with food. 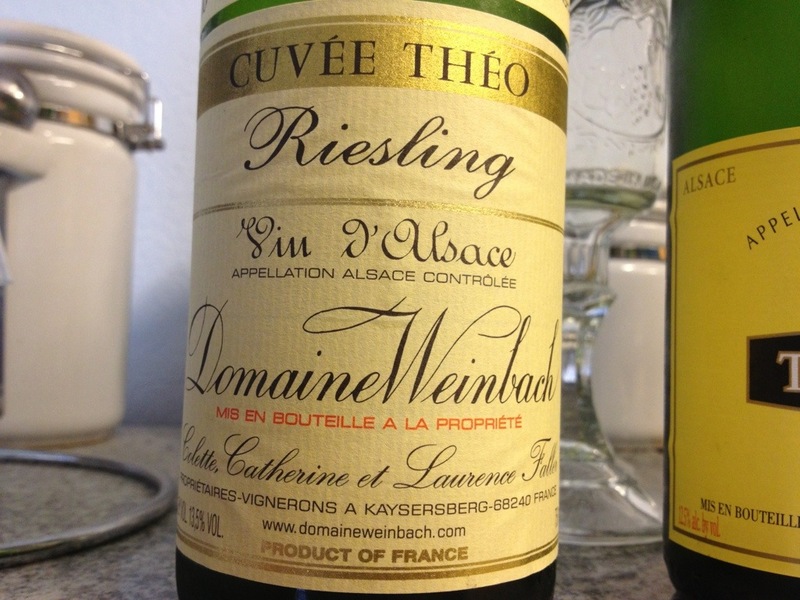 There is a nice floral component, mouth cleansing lime, and a dancing minerality. There is a nice touch of spice. The skins give it a medium to light body. Very cool. Score: All I’m thinking about this wine is how clean it was. It was fresh. It was vibrant. Every sip made me thirst for another. This wine is a solid 88. 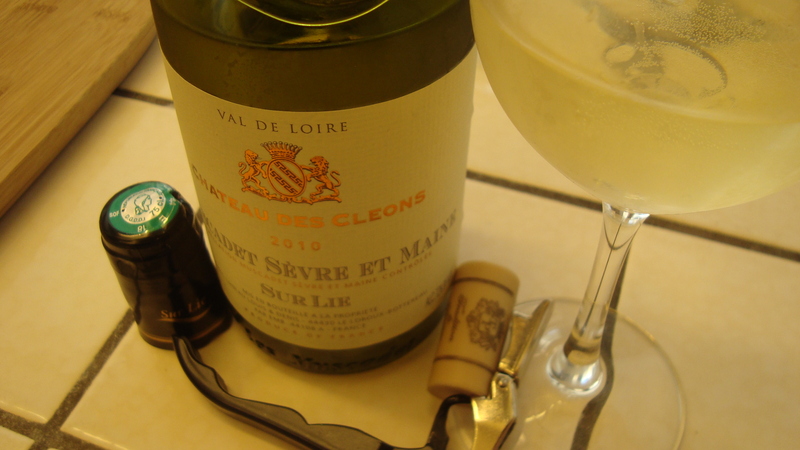 Way to go, Chateau Des Cleons! The spinach and shallot salad was prepared by Kara. A very clean, palate cleansing bite. The ceviche was very fresh, with a perfect balance between the acidity of the lime and the fattiness of the tilapia. The SHRIMP was Tha BOMB! Juicy. Rich. The flesh just pops when you bite into it. The clean flavors of the wine just rounded out the fatty richness of the seafood. Morgan Hill Cellars Blackberry Wine with a long-lost friend. 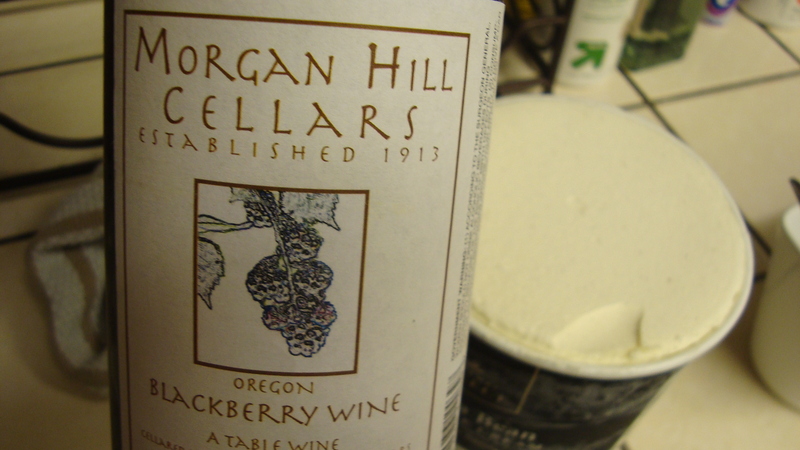 Kara and I have been sitting on this Blackberry Wine from Morgan Hill Cellars for about a year. I’ve been dying for some vanilla ice cream for the last few weeks. 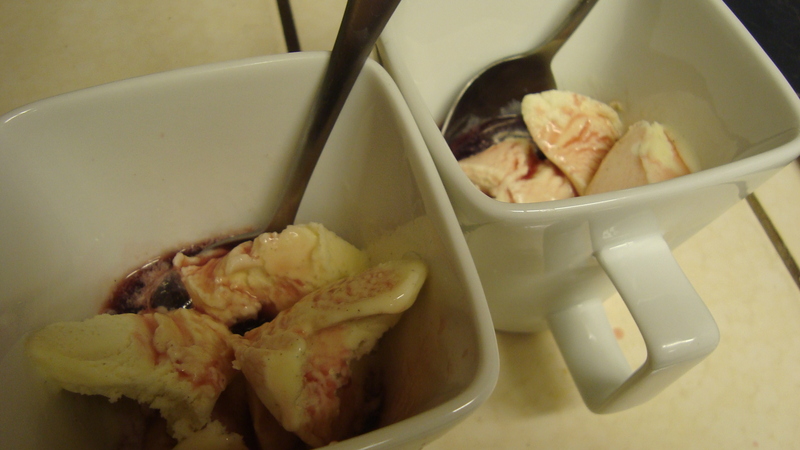 Vanilla Ice Cream with Blackberry Wine... I got my just deserts. 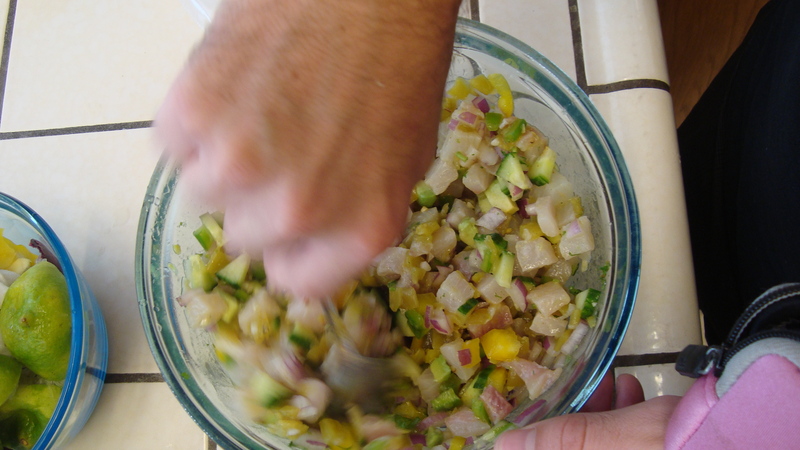 PS – If you ever make ceviche, do yourself a favor… After you serve the ceviche, save the leftover juice from the bowl you marinated the fish in. 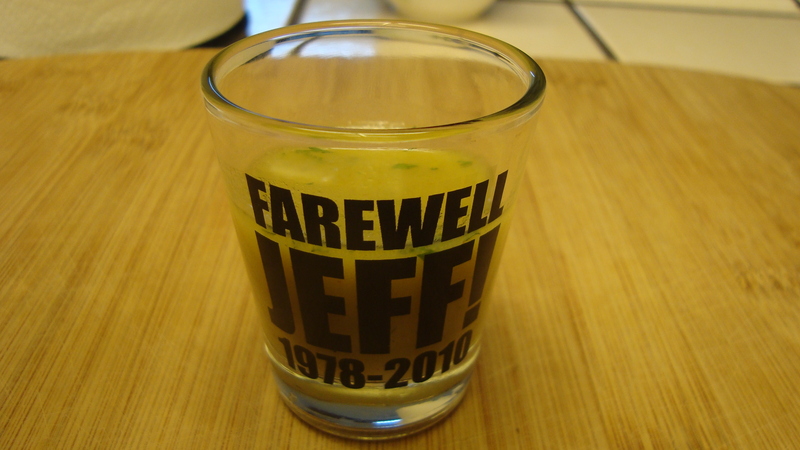 Peruvians refer to it as Leche de Tigre, and it is known to be a cure for hangovers. I just drink it ’cause it’s awesome!